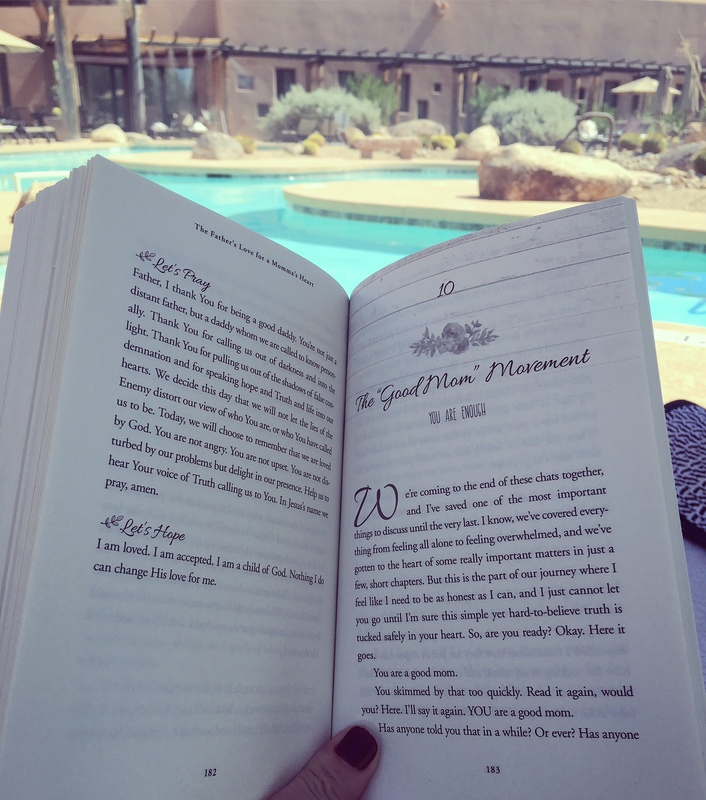 Do you ever want to escape reality and get lost in a good book? A book that makes you smile, makes you laugh, makes you cry and in the end makes you want to be a better version of you? Or a book that reminds you that you are special, you are doing great things and that you are making a difference? If you answered YES to all of these questions, I have the perfect book for you! 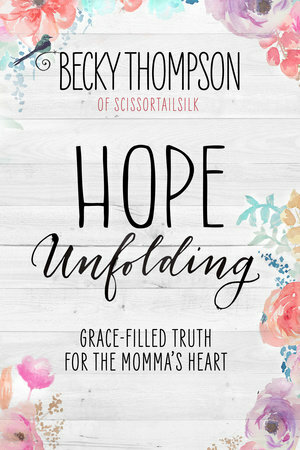 HOPE UNFOLDING by Becky Thompson is a beautifully written book on grace-filled truths for the momma’s heart. This book was one that truly warmed this mommas heart every time I opened it up. 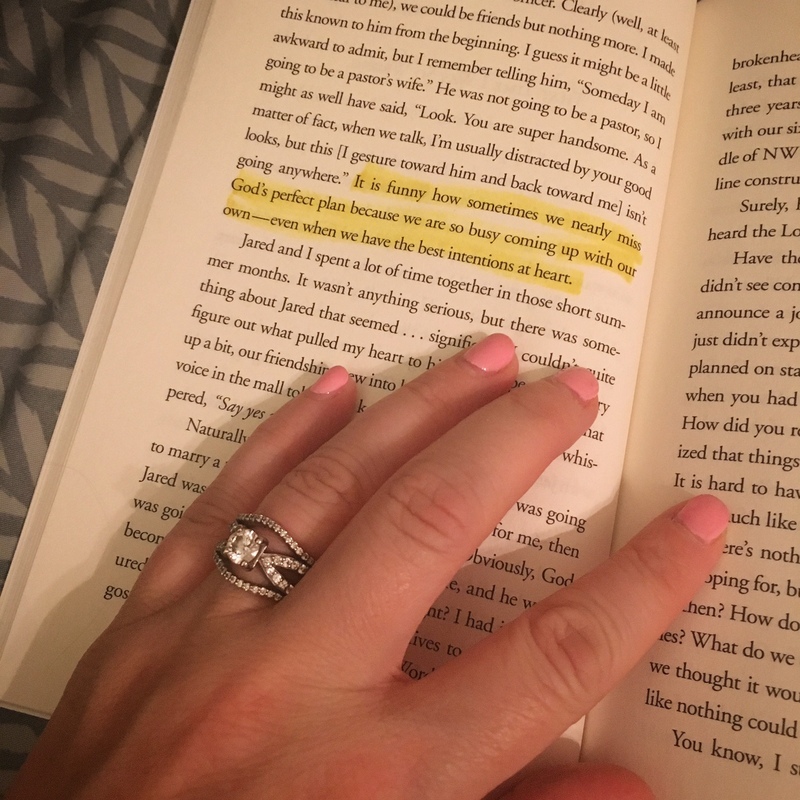 Becky does a beautiful job at using humor, truth and personal reflections to remind us mommas that we are not alone is this motherhood journey and to continue to lean on God for direction. God has us exactly where we are for a reason and to step forward in grace and hope each day. We are each in the middle of our own stories but this book is a great reminder to tune our hearts to the voice of the Father. I love how God works, whatever path we are on, He knows just how to bring us exactly what we need. I discovered this book in a time where I really needed to be reminded that God has given me two beautiful little girls to love on and raise… every single day. Today’s society teaches us to get out there and make an impact, and I was in a place where I wasn’t sure that I was making a big enough impact, or at least meeting the world’s standards. I was getting down on myself and the fact that I was spending my days at home, cleaning, cooking, taking care of the home… and feeling like something was missing. This book provided me with encouragement, compassion and the realization that I was not alone in my motherhood journey. It reminded me to look up for advice & direction instead of listening to what the world has to say. Since reading this book and diving into the word, I have been more grateful for my situation, thankful for my family and excited to see where God uses me each day. Becky’s words and reminders have even impacted my blogging and has shown me how important it is to continue to show you, my viewers and friends, a genuine and transparent version of myself. To be a friend and a witness to your daily lives and to always let God work within you in your moment. 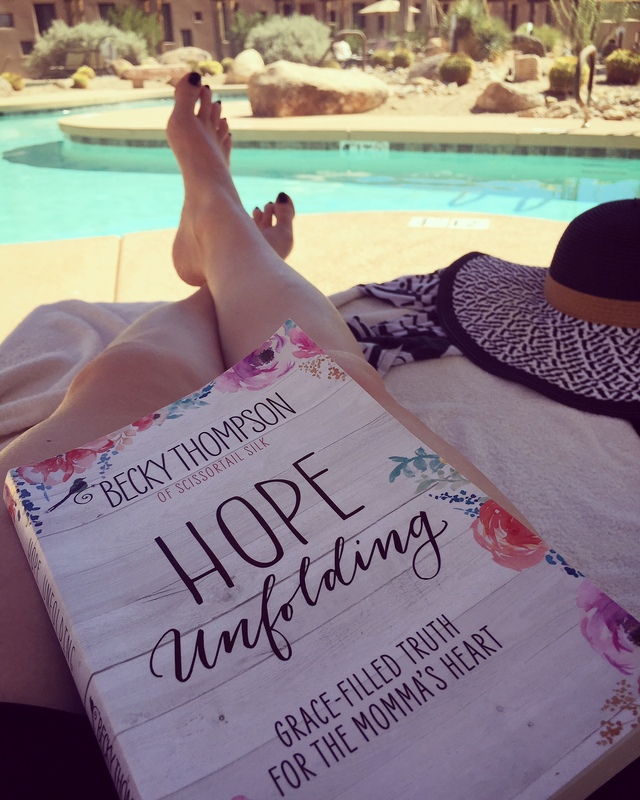 I want to encourage you mommas with a point that Becky shares, that the story of your life is still unfolding and that we are not defined by our worst moments… God’s love for us is unconditional! Amen to that! If you are looking for a book that will lift you up, make you smile and inspire you all at the same time… this is the book! Step out by faith and give it a read. Or if you have a momma in your life that could use a little hope, buy them this book. It will be exactly what they need! Click HERE for a Sneak Peek into the book Hope Unfolding! Momma’s you are doing a great job! Sending love and encouragement your way! I received this book from Blogging for Books for this review. All thoughts and opinions are 100% my own. This post contains affiliate links. If you decide to make a purchase through my link, I will make a small commission for it. This doesn’t cost you anything additional. These commissions help to keep the rest of my content free. Thank you!